Have a look at the code that runs the executive summary report – has similar margin % numbers. 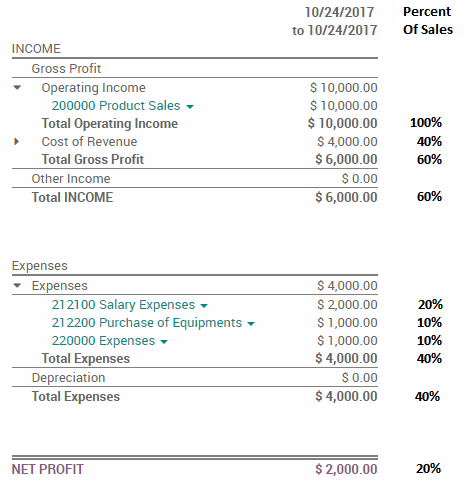 Has anyone come up with a way, in the Enterprise Edition, to express income and expense lines on the Profit and Loss Statement as a percent of Sales? This is a common way to measure the variable expenses as Sales increase and decrease from month to month.